Paddy Power is at it again. The Irish bookmaker always offers a slew of eccentric novelty prop bets, but right now, the UK sportsbook is outdoing itself. Bettors overseas can currently place wagers on everything from who will be the next pope, to which actor will replace Daniel Craig and step into the iconic role of James Bond. Of course, there’s also a surplus of betting opportunities surrounding Donald Trump’s presidency. While Paddy Power’s listings are as comical as ever, they’ve taken a softer tone than in past years. The site received plenty of controversy some in 2008 for asking if newly inaugurated President Barack Obama would be assassinated during his first term. At 76 years and 86 days old, Pope Francis was the ninth oldest pope to ever be elected to the papacy in 2013. 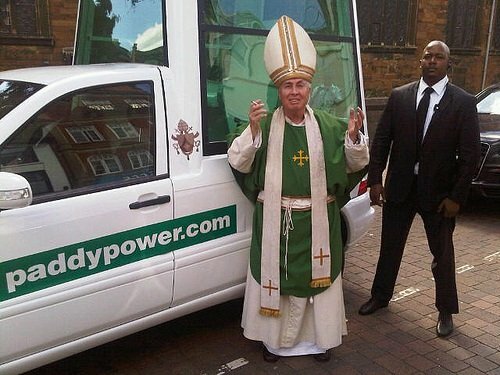 Now 80, Paddy Power is counting down the days until the Roman Catholic Church will need to find a new leader. Cardinal Luis Antonio Tagle (Philippines) is the favorite at 5-1, followed by Cardinal Peter Turkson (Ghana) and Cardinal Marc Oullet (Canada), both at 8-1. US Cardinals Sean O’Malley (10-1), Kevin Joseph (20-1), and Timothy Dolan (20-1) are also in the running. But so is U2 frontman Bono, at least according to Paddy Power. The musician and philanthropist is a longshot, however, at 1000-1. Richard Dawkins, an atheist, comes at the devilish odds of 666-1. Surprisingly, Trump isn’t an option. Craig said recently he’d “rather slash his wrists” than play 007 again, meaning Bond producers are scurrying to find a new title actor. Paddy Power believes it’s Jack Huston’s to lose (2-1), followed by Tom Hardy and Tom Hiddleston (4-1). A few humorous longshots include Kristen Stewart (90-1), Helen Mirren (175-1), David Beckham (500-1), and Diddy (500-1). The odds of Trump leaving office before his first term expires are growing longer. Earlier this month, bettors felt there was a decent chance of the 45th commander in chief being ousted before 2020. However, today the favorite on the question, “What year will Trump cease to be president?” is “2020 or later” at 11-10. This year does come with the next shortest odds at 13-8, followed by 2018 (10-2) and 2019 (9-1). 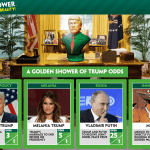 Paddy Power is obsessed with the new leader of the free world, and justifiably so. 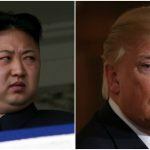 Trump generates much interest for his at times outlandish comments and penchant for social media. 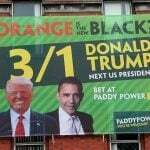 The sportsbook was even trying to hire a US political expert for its newly created position, “Head of Trump Betting.” Paddy Power took a beating on the November US election after it began paying out on Hillary Clinton wagers prior to Americans shocking the world. Finally, Paddy Power is ready to see who you think is going to win the Nobel Peace Prize when it’s announced this October. Pope Francis leads the way at even money, followed by German Chancellor Angela Merkel (13-5). The White Helmets, Syria civil defense soldiers, are at 3-1, and murdered British Labour Party politician and humanitarian Helen Cox is at 6-1. Notables include Barack Obama (22-1) and his wife Michelle (33-1), Leonardo DiCaprio (50-1), and Russian President Vladimir Putin (90-1). And yes, Trump is an option at 25-1.